As you know by now, Michael Fassbender was knee deep in filming the Steve Jobs movie in the San Francisco area, specifically, Berkeley and Cupertino. As per media anticipation, I thought Michael was going to be able to slip away to Utah for at least a day for the premiere of Slow West at Sundance this weekend, but he was not able to attend. The overall reception to the Western, which was the first film produced by Michael and Conor's DMC Films, was very good! Many reviews state that Slow West is a nice twist of a Western, the body count is high, and there are flamboyant characters, everyone uses their natural accents, and Michael is great, but if anything, his character is still mysterious due to the lack of depth about him. Back in December it was announced that A24 Films will distribute Slow West in the States, so I'm hopeful that it will get a spring or summer release. It's an independent film, so it may not get released at 2,000+ theaters, but I'm confident it'll have a wider release than his previous film that debut last year at Sundance, Frank. Michael was spotted along with Kate Winslet at the Flint Center at De Anza College on Monday. A few very blurry and dark images have been taken of Michael on set wearing an 80's style wig and a black turtleneck. The 80s were my personal favorite coming of age decade and I would love to have been an extra in this film. 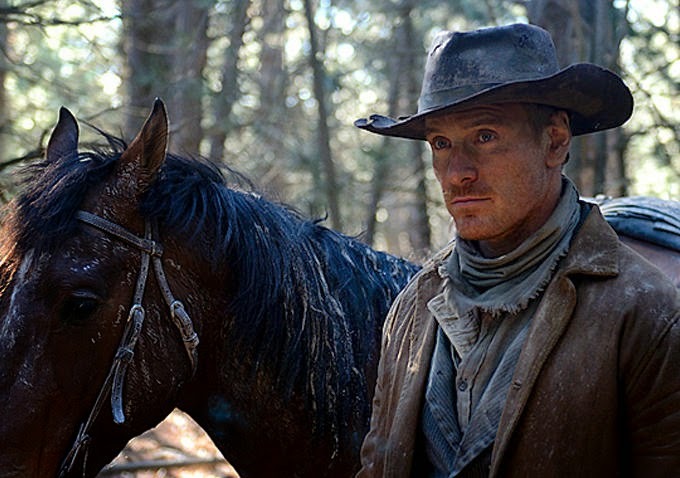 The Facebook page of FF has been very active with posting reviews of Slow West, so mind it for quick updates and information. 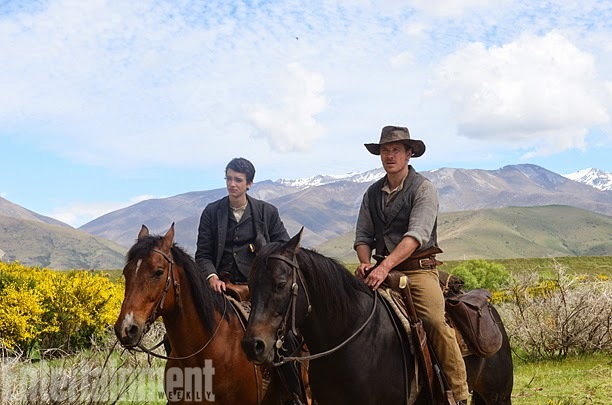 I'm glad that Slow West is so successful ... and that's probably because it deserves it. That's really rotten that you were not able to see Frank yet. That's the downside of these tiny indies, it's like trying to get into Fort Knox. I think when it comes to indies, that's where Michael's talent really shines.